It’s been 20 years to the day since Arsene Wenger held his first press conference as Arsenal boss, and here’s a look at the best XI to feature under him. 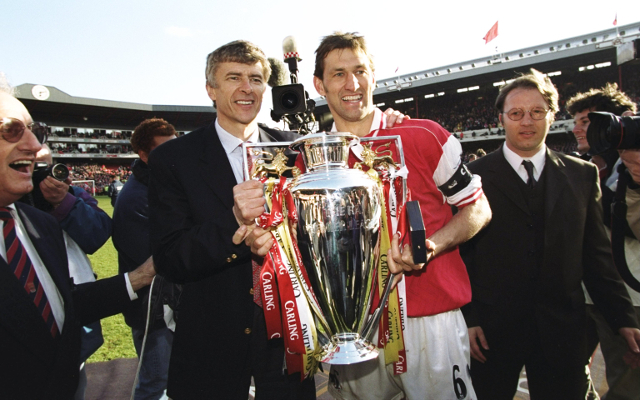 The French tactician has won three Premier League titles during that time along with six FA Cups, and has seen countless world-class players come in and out of the club during his tenure. In turn, it’s difficult to limit it to just 11 individuals who make the best Wenger XI at Arsenal since 1996, but several players stand out in particular. They include club record goalscorer Thierry Henry alongside the Dutch magician Dennis Bergkamp, while both Robert Pires and Freddie Ljungberg were exceptional for a prolonged period of time with their goals and general contribution to the team from midfield. Few, if any, can argue with Patrick Vieira’s inclusion after the Frenchman became a rock in Arsenal’s midfield during his time with the club, while Cesc Fabregas made well over 200 league appearances for the Gunners and developed into a world-class talent under Wenger’s guidance. Ashley Cole infuriated supporters with his decision to move to Chelsea but remains one of the best left-backs to play for the club, while Lee Dixon and Tony Adams were fixtures of the side along with David Seaman and established themselves as club legends in the process. Sol Campbell’s move from Tottenham sent Arsenal’s rivals in a frenzy, but his addition to the team was crucial, although Laurent Koscielny arguably pushes him close as the French international continues to play a vital part in the current squad’s push for silverware.